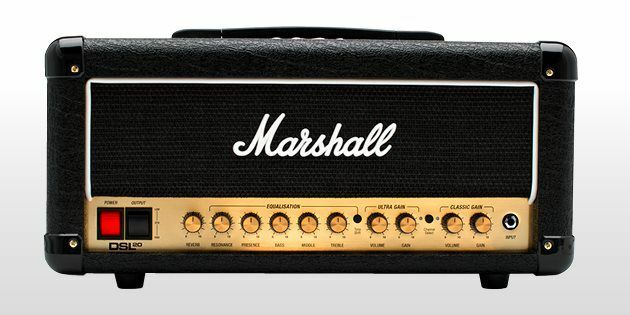 The DSL1HTM has the classic Marshall tone and features expected on a DSL but at a lower power to suit those who play at home. 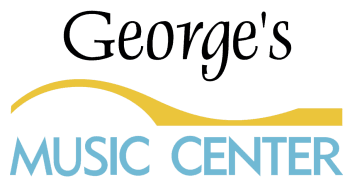 The sound has been perfectly crafted to suit those with eclectic tastes, looking for tonal experimentation. There is the ability to reduce from 1w to 0.1w and use the emulated output for recording or headphones, we have specifically engineered the DSL1 for a great sound at low levels. Using the two footswitchable gain channels you can go from clean, classic tones to those with added distortion and extra bite. Create the music you want using the studio quality reverb, tone shift and FX loop. 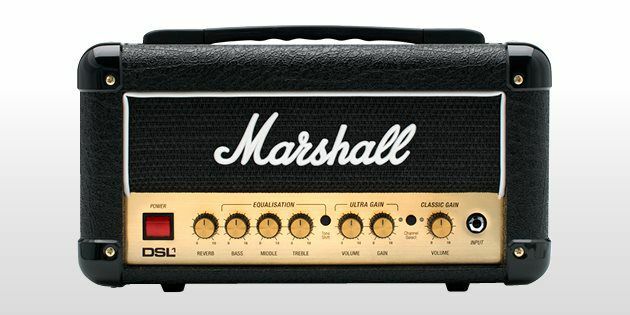 The DSL100HTM has two gain channels to produce that legendary Marshall sound with rich functionality for those who require flexibility and unquestionable quality. 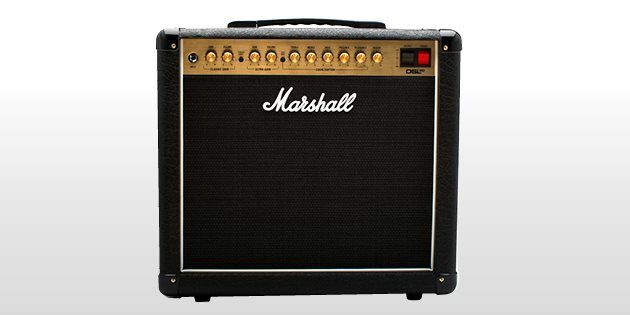 The amp can move between two sounds within each gain channel, so that players can create and release their personality through sound. Channels - 2 (Split) "Ultra gain" and "classic gain"
From bright shimmering clean tones to punchy aggressive gain, the DSL1 combo has the features to provide the sound that suits you. 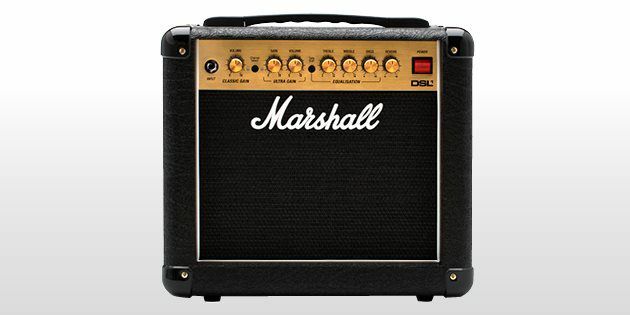 It has the features and Marshall tone that is expected from the DSL series but is compact and portable, perfect for those bedroom players. With an emulated output and power reduction to 0.1w the DSL1 is perfect for recording and playing in the bedroom. We have specifically engineered for a great sound at low levels so, you can reduce power to 0.1w. Using the two footswitchable gain channels, reverb, FX loop and tone shift controls you can adapt the sound to suit your style. 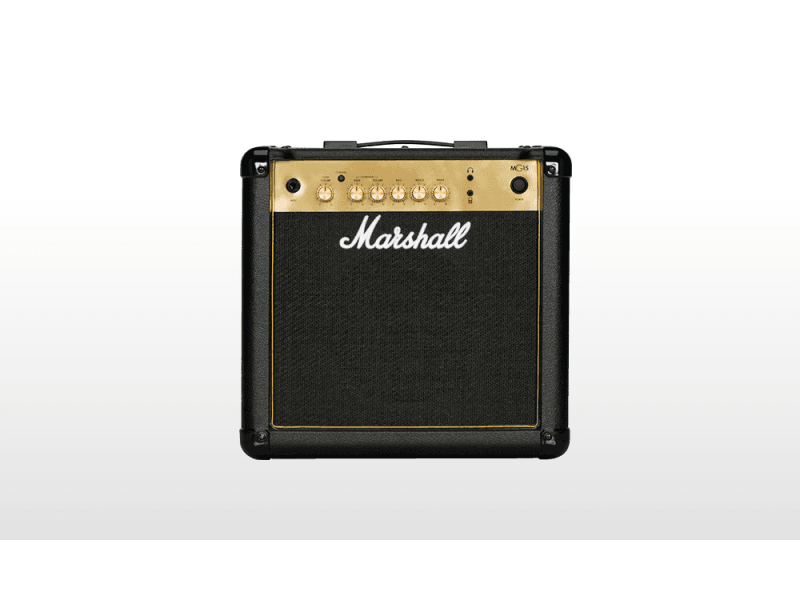 Power can be reduced from 20w to 10w without affecting the quality, so you can play wherever you are with confidence. The DSL20 combo has three speaker outlets allowing for a combination of two speakers, the ability to record and a standby function for silent recording meaning it can be taken from the bedroom, to the studio and onto a gig. You can have more bite and punch to your tone with the presence function and the resonance will give your sound depth. The DSL20HTM is for those who need the full rich tone of a valve amp in a compact and portable format. From the moment you plug in, the DSL provides you with the functionality you need to take your sound from rehearsal to the studio with confidence. Using the multiple channels, reverb, FX loop and tone shift controls you can adapt the sound to suit you. 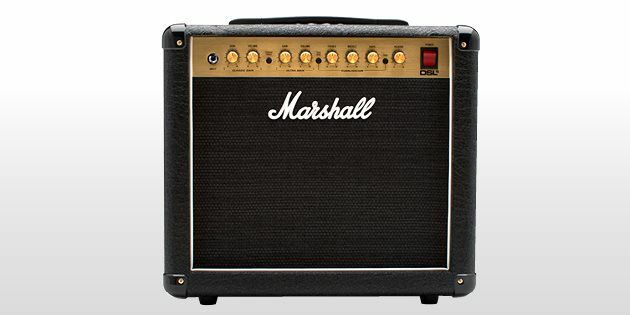 You can reduce power from 20w to 10w which makes this amp ideal for playing small venues and in the studio. The three speaker outlets give you plenty of options and the ability to record, including a standby function for silent recording. 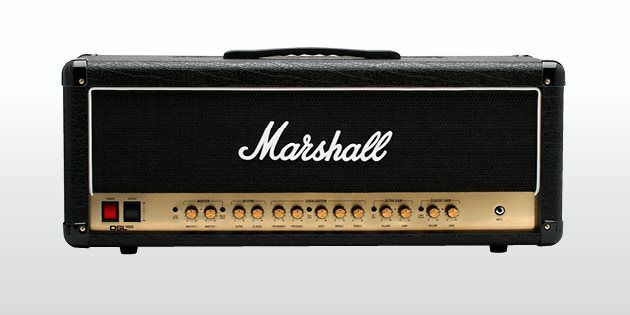 This means the DSL20 head is perfect for gigs and in the studio. Presence and resonance additional features can deliver more bite and depth to your sound. Power can be reduced from 40w to 20w without affecting the quality meaning the DSL40 can be used in multiple environments with confidence. The DSL40 has two master volumes for those loud solo moments. With two channels, clean and overdrive, as well as three band EQ, there’s a tone out there for everyone. 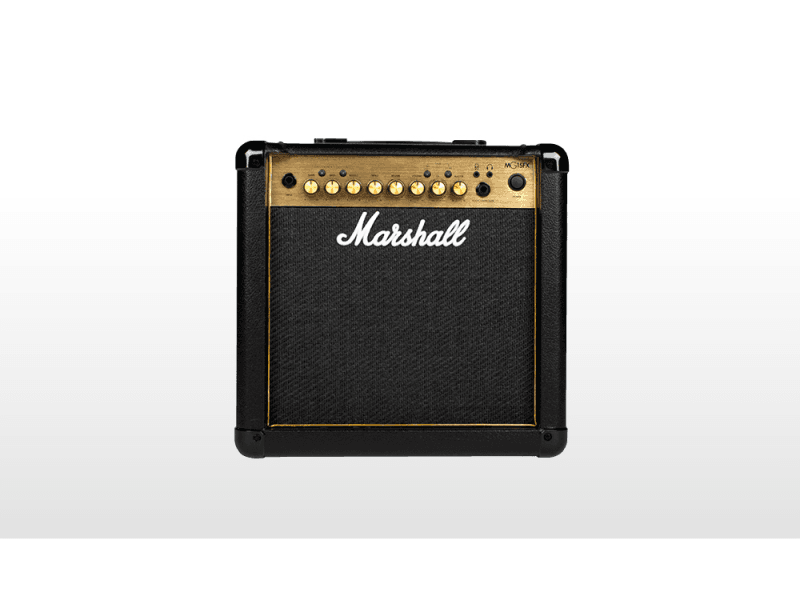 This compact amp is a great size for practice at home, taking along to band practice or playing a small gig. Feel like a rock god using the MP3/line in to play along to your favourite songs and the emulated headphone output for great silent practice. Width - 375 mm / 14.8"
Height - 370 mm / 14.6"
Depth - 195 mm / 7.7"
With four channels, clean, crunch, OD1 and OD2, as well as three band EQ, there’s a tone out there for everyone. The MG15FX has clean, crunch, OD1 and OD2 channels, bringing you even more tonal control. 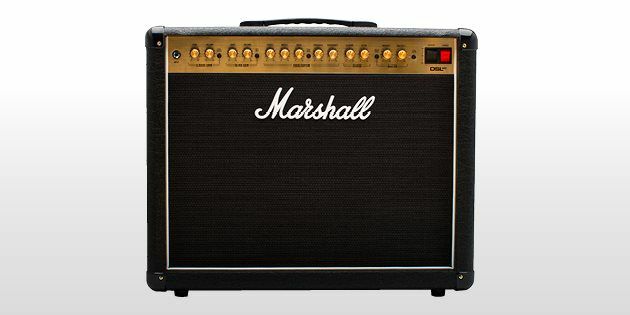 These amps are the perfect size to bring along to band practice or use at an intimate gig. The MG15FX is loaded with a variety of digital FX including: reverb, chorus, phaser, flanger, delay and octave.